One of a kind spa treatment at home! 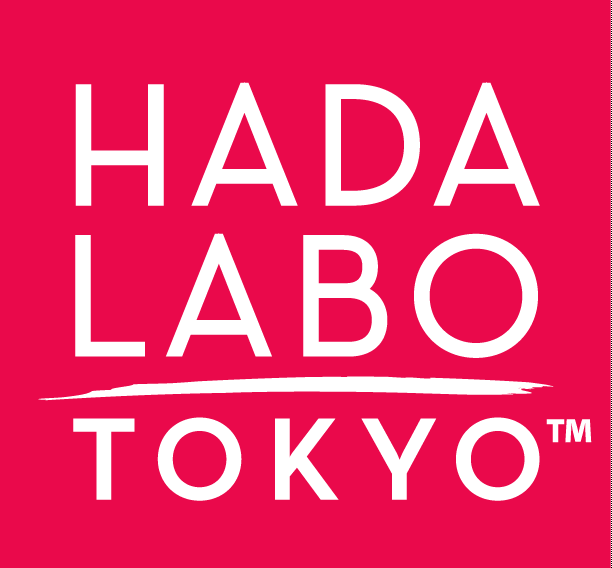 Hada Labo tokyo™ Anti-Aging Facial Sheet Mask 4 count is rated 4.5 out of 5 by 79. Open the foil packet containing the pre-cut mask. Unfold to expose entire surface area. Carefully position the eye, nose, and mouth openings as you gently press the mask to clean and dry face. Gently remove and discard. Do not rinse; pat excess serum into the skin. Super Hyaluronic Acid™: Proprietary combination of three types of Hyaluronic Acid. Powerful hydrator and skin plumper that provides multi-layer, long-lasting moisture to restore and strengthen skin’s natural hydrating levels. Soy Peptides: Helps fortify the skin and improve multiple signs of aging such as the appearance of fine lines and loss of elasticity and firmness. Vitamin E: A powerful antioxidant that helps protect skin from premature aging by preventing free radical damage and skin cell deterioration. Rated 5 out of 5 by Jami from I never tried a sheet mask before! I was offered this mask in exchange for a review. I have sensitive skin so am wary about trying new products but this was so nice and soothing! You open up the package and you pull out a serum-full face sheet with the eyes, nose and mouth cut out. It is almost dripping with product. It was definitely awkward getting it on the first time.It has lots of cuts in it to accommodate different face shapes and sizes I guess. Instructions say to leave on for 10 to 15 minutes and I used the whole 15. You then rub the surface serum into your skin which leaves you a bit glossy. So I'm holding the mask still full of serum and I put it on my neck and chest. Best results ever! Skin so soft. Rated 5 out of 5 by Elle from Great sheets for moisture and anti-aging! I was very impressed with these masks. They are soaked in serum and very easy to apply. It felt moisturizing, and the best part was that afterwards, the serum was very easy to massage into my face and did not leave a sticky residue. Honestly, I'm not sure about the anti-aging effects, since it's a 1x mask and I'm a bit frugal. This set only contains 4. However, it has all the right ingredients and I think if used regularly, could have some effect. I would buy these again as a treat or when I'm feeling particularly dry (such as during the winter). My skin is combination and not sensitive at all, so I can't comment on whether this is good for sensitive skin. For me, it was not irritating and my skin was smooth and soft in the morning. Rated 3 out of 5 by Belle from I like the brightening effect I received these free from menthatum.com wellness program to review. I love how there is 4 in a box. I don't notice that my skin is soft. But I do like how bright and radiant it feels and plumped up. It leaves a little bit of a tacky feel on the skin as well that I don't care for. Rated 4 out of 5 by Inari from Great sheet mask with amazing serum! I have used many sheet masks before and I really enjoyed this mask. I am Caucasian with normal skin. This mask fit very nicely! Wasn't too big, wasn't too small. The serum was wonderful as well! While wearing this mask it stayed in place. Sometimes masks want to slide all over the place but the serum is so nice and the cotton is a nice thickness that it stayed where I placed it. It made my skin feel nice and plump as well as really smooth. The Serum absorbed really quickly which I usually have trouble with other masks that it doesn't want to absorb at all. I even used the leftover serum in the pouch. Other notes, the pouch it came in is smaller than normal sheet masks so it would be great for travelling. Absolutely no fragrance for those who are sensitive to that sort of thing. Rated 5 out of 5 by Jessica from Great face mask! I have used a couple of these masks now and they work great!! I have dry and sensitive skin, and am picky about what I put on my face. The quality of mask is great and the mask made my skin feel soft and supple. Rated 5 out of 5 by bttrflyeffect73 from Skin feels lovely I received the Hada Labo tokyo Anti-Aging Facial Sheet Mask for review, and I am so glad I did. I recently finished using the cleanser, purchased with my own money, and couldn't wait to try this. My skin feels hydrated and soft. I pat the extra serum on my neck and chest as well and I love how my skin is feeling in these areas. The Hada Labo products have really helped in balancing my skin. I look forward to using more and wouldn't hesitate in recommending this to any face mask user. Rated 4 out of 5 by Divina from Love this product Great product! Saw a visible difference after first use! Face looked smoother more hydrated!